This is a very short but important subject I am sharing with you. If these truly are the end-times, with only 15 years to go for Jesus to return within Israel's 80-year window, then we should begin to see some of these stranger prophecies being fulfilled around us. I don't know why I didn't see how this prophecy was being fulfilled in our day, before now. I guess I was looking for something supernatural. I finally understand how the Day's of Noah apply to us today in these end-times that you and I live in. The main reason for the flood of Noah was that the DNA of God's man had been corrupted and mingled with DNA of angelic spirit beings. The book of Enoch mentions the corruption of animals, even cross species is hinted at as well. In Noah's day this DNA corruption got so bad that Genesis says Noah's family was all that was left that had not been corrupted. God even directed Noah as to which animals to gather in order to preserve their DNA. The flood destroyed everything of corrupt DNA and God began again. God has promised never to flood the earth like that again, and we have no mention of the end of life on earth to that degree again, not even in the end-times; therefore, the seal, trumpet and bowl judgments will begin and curtail this from spreading throughout creation as it did in Noah's day. But, this corruption of man and animal DNA must be present during the end-times, Jesus declared it. So, how will it be done, by fallen angels or some other way? I assumed that it would be fallen angels, especially since we have a fallen angel who possesses Antichrist but I was wrong. The Day's of Noah have already begun. It started with plant and insect life some years ago. It is fact that the DNA of many of the foods we eat are no longer of the DNA they were created with. Many have also been crossbred with insects and other substances, things God says are not for eating. Because of the money involved, you will never put this genie back in the bottle, never! Consequence Of GMOs Are Not Yet Fully Understood Initiative 522: Shouldn’t we know what’s in our food? Contrary to The Times’ Sunday editorial, today’s genetic modification of foods is very different from the selective breeding. GMOs are engineered in laboratories and the consequences of their use are not yet fully understood. One example is Neonicotinoids, the genetically engineered pesticides produced internally within a GMO’s seeds. These may be linked to Colony Collapse Disorder, which is currently decimating our country’s honeybee population. Honeybees and other pollinators are responsible for one-third of all food eaten in this country. Their collapse would have severe repercussions on our food supply. The Times’ other argument, that food labeling will increase costs, is also untrue. “Contains GMOs” costs no more to print on a box than the words “natural,” “fat free” or “new and improved”. The bees are just the beginning. We already have doctors telling us that the wheat we are eating is no longer really wheat, and it is the cause of many health issues. That goes for all of our grains, sugars and soy, everything is GMO, and nothing is pure anymore. Even the fresh fruits and vegetables are being changed. Back to us humans! Of course I am referring to the gene and DNA splicing science is engaged in. They have come a long way, and I have a feeling we don't really have any idea just how far they will go. They will not be as successful as the angels were in Noah's day, but not for lack of knowledge or ability, but because God's judgment activity will hinder them. This is the latest article about what is going on, and I believe that THIS is the fulfillment of Jesus' prophecy about "as it was in the day's of Noah, so it will be in the day's of the Son of man." The end-times are the day's of the Son of man, His judgment and soon return. This in no way prevents fallen angels from doing the same thing during the Tribulation; however, the offspring would never become old enough to be of much use in the global fight. There are so many articles I could add here, but I think this one makes the point as to the ability science has achieved, and it shows that government is getting on board. In fact, they have been on board all along. The article is very good, informative and scary, be sure to read it. 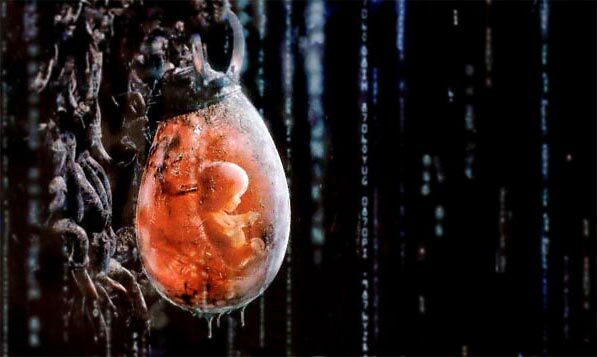 I think designer babies is the least of what this type of science will bring and produce. Let's face it; we don't have a very good grip on evil anymore in any sphere of life and government. In fact, this activity is probably already a nightmare that is kept under wraps around the globe. We already have human organs growing inside of pigs for human transplants. We have chimeras of all kinds now. We are about to embark on real human/? chimeras. Like the article above says, these changes will be passed on to future generations. We can now do what Hitler dreamed of all along, and tried to do in his own fashion; you know how that ended up. Do you really think it will end any differently this time??? Why The Science Behind Jurassic Park Is A Little Less Far Fetched Researchers have announced the discovery of specimen USNM 559050, a fossilized mosquito from northwestern Montana, containing what is indisputably a blood meal in its swollen belly. The specimen, described in the journal Proceedings of the National Academy of Sciences, dates back 46 million years—not quite to the age of dinosaurs, but tantalizingly close. Do you think they will experiment with this blood, try to help it re-produce into whatever it was? Of course they will. Prophecy also says that an incredible amount of knowledge, in all areas, would abound in the end-times. Let's face it, a new gadget no sooner goes on the market and it is already obsolete. What could be faster than that? What do we call this age? The information age! We have reached the point, much like the world during the time of the tower of Babel, where nothing is impossible to us, and we can do anything we imagine ourselves to do. And just like those at the tower, what we imagine to do is replace God with ourselves and accomplish much evil in the process. I'm sorry, but He didn't allow it then, He stopped it during Noah's day, and He will stop it again. I don't want to be here when He does.